Description: Endings are new beginnings, let this be yours! So much love, attention, pride of ownership has gone into this home & property as well as great memories with family & friends! Over $150,000 invested throughout for your future 2 storey/bsmt 6 bed + / 4 bath home, situated on 9634 sq. Ft lot surrounded by nature! 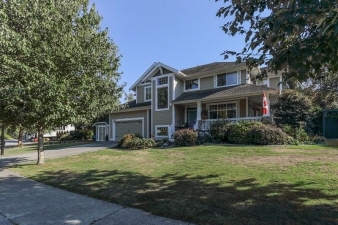 Features include 9' ceilings & open plan on main, tons of cabinet space in kitchen, huge post & beam covered deck leading to mature landscaping & privacy w/hot tub, 5 beds up, generous walk-in spa like ensuite in mstr bed, separate entry down w/media/rec room & so much more! Conveniently located within minutes of srt & meadow ridge schools, shopping & nature trails! Come see for yourself what this has to offer!